As winter gives way to spring, many decide that it’s time to get outside and enjoy the beautiful weather. For a lower-impact workout or even for more mobility and chances for scenery, the purchase of a new bicycle can be just the thing. Today however, there’s a bike type and a raft of accessories to fit every purpose imaginable, which can be confusing. Furthermore, an increase in bike accidents over the past couple of decades has led to increased regulation on cycling in many areas. We have therefore developed the below guide to help answer some common questions you may have when getting ready to hit the road. How ( & Where) Do You Ride? 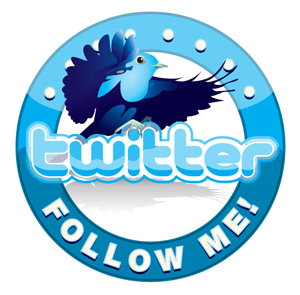 ● Road bikes: Best for pavement, these bikes are good for fitness, long distance rides, touring, and racing. Usually lightweight, they typically have drop-bar handlebars that put you in an aerodynamic position for going fast. ● Mountain bikes: Rugged bikes with shock-absorbing features and strong brakes, these bikes are made for dirt trails and off-road riding. Typically with straight handlebars, they may come specialized as downhill racers or simply as fun bikes for the trail. ● Hybrid bikes: These bikes combine aspects of both road and mountain bikes to create well-rounded bikes that do it all. Usually thin tires and lighter frames of road bikes mixed with straight handlebars and more comfortable seats of mountain bikes, they will have options that lean more one way or another so you can really find a style that suits you. ● Specialty bikes: An extremely broad category encompassing folding, recumbent, electric, cargo, cruisers, and many other bikes. If none of the broader categories above work for you, consider specialty bikes to see if there’s one that is a fit. Most jurisdictions in the US have some form of laws on helmets for bike riding – be sure and check with your local state, county, or municipality for the laws in your area. In 2014, bike riders accounted for 2% of all traffic deaths, which should be sufficient encouragement to choose your helmet carefully. Mountain bike helmets typically feature visors, enhanced rear-head coverage, a firm fit and may even include full face masks, while road bike helmets generally don’t have visors but focus more on aerodynamics and minimizing weight. Recreational helmets usually have visors, are less expensive, and more generic. Accessories are even more varied and complex than are bike types. At a minimum, consider a lock, reflectors (usually built in), reflective clothing, and lights, particularly if you plan to bike at night or in the early morning. Repair kits, pumps, water bottle holders and/or hydration backpacks, and saddle bags can be essential if you plan on long distance rides. Child seats, baskets, fenders, bike racks, mirrors (crucial for city riders), are other accessories that depend on specifically how you plan to use your bike. Whatever your intended use, there’s no time like the present to get started riding. The biking community needs you: studies have found that the more people there are riding bikes, the safer it is for everyone and that cities with lots of bike riders have lower crash rates for all road users. Hope to see you out there soon! 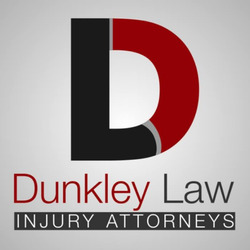 Dunkley Injury Law Attorneys at https://www.dunkleyinjurylaw.com/ for writing this valuable and important article. Dunkley Law Personal Injury Lawyers have spent the last ten years successfully representing clients in Henderson, Nevada and Salt Lake City, Utah.